DTZ, a global leader in commercial real estate services, today announced that it has assisted PERS Development, one of D.C.’s fastest growing Development firms, in delivering the $14.3 Million sale of 3930 Georgia Avenue in NW Washington, DC. 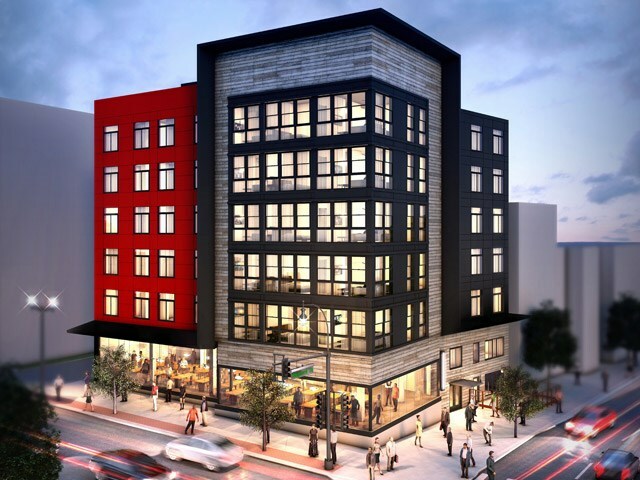 Managing Director Chris Doerr represented the seller, Ramin Bassam, in delivering a near-completed 31-unit, Class A mixed-use property located in the Petworth neighborhood with the same fixture, finish and quality that D.C. has come to expect from PERS Development. The building has been left in good hands as the buyer was Erkiletian Development, a company with an established and prestigious presence in the Greater D.C. Metropolitan area with experience in delivering both high-end condos and apartments. 3930 Georgia Avenue is a newly-constructed building with 2,840 SF of ground floor retail, located just two blocks from the Georgia Ave-Petworth Metro Station and only one block from the recently completed Petworth Safeway, with access to popular areas such as 11th Street, Columbia Heights, 14th Street and the U Street Corridor. The property offers a range of one, two and three-bedroom floor plans. Building amenities include rooftop deck with grilling area, on-site parking, resident storage space, and keyless entry and security access system. For more than 40 years, we have developed, constructed and owned properties that have earned us a reputation as one of the most trusted names in the Washington, DC, real estate and business community. Today, our portfolio of residential, commercial and mixed communities is proof of our dedication to creating pleasing and effective environments that flourish and grow into desirable destinations. PERS Development builds beautiful city homes. With over two decades combined experience, PERS Development is a Washington D.C. based development company that places a paramount on building boutique and luxury homes, setting the industry trend. With the mantra: building homes is like art, fluid and ever changing, influenced by culture and lifestyle experience, PERS endeavors to fuse that idea into a home that someone can both appreciate, and enjoy. When founder, Ramin Bassam, established the company in 2006 with a single row house, his vision was to provide premium, boutique properties to DC’s hottest neighborhoods. Today that vision remains the same as PERS Development moves forward as one of the fastest and consistently growing development companies in D.C.
DTZ is a global leader in commercial real estate services providing occupiers, tenants and investors around the world with a full spectrum of property solutions. The company’s core capabilities include agency leasing, tenant representation, corporate and global occupier services, property management, facilities management, facilities services, capital markets, investment and asset management, valuation, research, consulting, and project and development management. DTZ provides property management for 1.9 billion square feet, or 171 million square meters, and facilities management for 1.3 billion square feet, or 124 million square meters. The company completed $63 billion in transaction volume globally in 2014 on behalf of institutional, corporate, government and private clients. Headquartered in Chicago, DTZ has more than 28,000 employees who operate across more than 260 offices in 50 countries and represent the company’s culture of excellence, client advocacy, integrity and collaboration. For further information, visit: www.dtz.com or follow us on Twitter @DTZ.